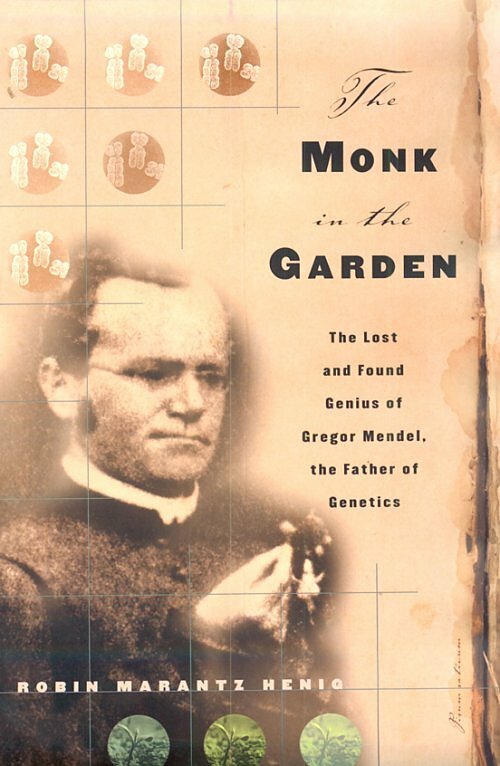 The author of numerous books (e.g., A Dancing Matrix: How Science Confronts Emerging Viruses) and articles on popular science and medicine, Henig here recounts the life of Gregor Mendel, the 19th-century monk who laid the groundwork for modern genetics through his pea-breeding experiments. Instead of using the standard biographical form, the author, who describes her writing as "educated deduction," employs a more descriptive, narrative style a few steps removed from the currently popular fictional biography. Very little information exists about Mendel, many of whose papers were burned after his death, and Henig fills in the blanks with probable scenarios. She paints an exceptionally human portrait of the monk that falls between the inflated hero and the beneficiary of lucky accidents. Henig's Mendel is a realistic compromise, a man who experienced failures and successes through intuition, luck (good and bad), and hard work. General readers will find the story very engaging, and the introduction to genetic theories is clearly outlined. This work will not be as appealing to scientists, who may take issue with "filling in the blanks" and the simplified discussion of genetics. A clear and engaging account of the life and times of the Moravian monk whose passion for numbers and painstaking work with pea plants laid the foundation for the modern science of genetics. Science writer Henig A Dancing Matrix, 1993, etc.) acknowledges at the start that conjecture and educated deduction were needed in telling Mendel's story, for very little of his writing (three papers, seven letters, and a brief autobiography written when he was only 28) survives. However, Henig is not telling Mendel's s tory in a vacuum. She depicts the intellectual milieu of 19th-century Europe, the beliefs and arguments about creation, spontaneous generation, and inheritance, and the storm of controversy that followed publication of Darwin's Origin of Species. Mendel's immediate world, an Augustinian monastery where teaching and research were emphasized, gave him the freedom to pursue scientific study in the fields that fascinated him: mathematics, botany, physics, and meteorology. Lacking records telling exactly how, wh en, in what order his botanical experiments were done, Henig pictures Mendel in his monastery garden, "tweezers in one pudgy hand and a camel's hair paintbrush in the other," moving slowly along his rows of pea plants, collecting pollen. While his cross-breeding experiments were meticulous, his 1865 report of his findings on heredity went largely unnoticed. Darwin never read the copy of Mendel's paper he received, and the only scientist who did acknowledge it (Nageli, a German botanist) misinterpreted it — possibly intentionally and perhaps through jealousy. A widely read horticultural textbook published in 1881 did cite Mendel's work, but it was not until 1900 (16 years after his death) that Mendel's paper was noticed by three scientists working in three different countries. Henig deftly explores the circumstances surrounding the rediscovery of Mendel's work and his subsequent enshrinement as an unappreciated genius and father of a new science. Henig not only achieves her goal of making Mendel come alive as a flawed but brilliant human being, but provides a fascinating picture as well of a scientific age when luck and personalities — and not just brains — determined success. Henig (A Dancing Matrix: How Science Confronts Emerging Viruses) divides the life and reputation of Gregor Mendel, the eponymous monk in the garden, into two acts, with a 35-year interlude between. The lost-and-found genius of "The Father of Genetics" is one of the great legends of science, but it harbors many gaps and anomalies, out of which Henig has built a fascinating tale of the strange twists and ironies of scientific progress. Little is known specifically about Mendel's life and work. He left no scie ntific journals, nothing but a single article published in 1866 summarizing his experiments with peas that went completely unnoticed during his lifetime. Mendel's story is one of repeated failures, disappointments, breakdowns — "a man whose dreams of scientific acclaim are dashed again and again." However, the disappointments of Mendel's life are merely the prelude to its second act: in the spring of 1900, 16 years after his death, that single article was rediscovered almost sim ultaneously by three separate s cientists in three different countries, and within a few years Mendel was hailed as a giant of scientific discovery. Henig, who revisited the sites of Mendel's life and work (and corrects doubts about how extensive and credible his pea cultivations really were), treats Mendel less as a "creative genius who died unrewarded," and more as a case study in the relationship between scientific work and a scientific reputation. Mendel's story continues to be one of the most human and appealing in the his tory of sci ence, and Henig conveys its full value in this excellent and well-researched history. Like Zelig, the ubiquitous guy who turns up at historical moments, Brookes's fruit fly, "a reliable, if unremarkable, laboratory workhorse," is present for some of the great moments in 20th-century science. The fruit fly came to the American South with the slave trade and, later, to the Northeast with the growing trade in rum, sugar and fresh fruits. Around the turn of the century, Victorian biology, with its emphasis on theology and obsessive anatomical description akin to biological stamp collecting, was giving way to experimentalism and Darwin's evolution; at the same time Gregor Mendel's ideas about genetic inheritance were just coming into fashion. Enter Columbia University scientist Thomas Hunt Morgan and his fruit flies and his experiments that would, Brookes suggests, help usher in the age of experimental biology. Brookes, a popular science writer for New Scientist, BBC Wildlife Magazine and author of What's the Big Idea? Genetics, traces the fruit fly's role in the study of mutation to identify control genes, detailing Hermann Muller's X-ray experiments in the 1920s, and the Nobel Prize-winning work of Ed Lewis, Christiane Nüsslein-Volhard and Eric Wieschaus in the 1970s. Brookes explores Russian-born Theodosius Dobzhansky's work in the 1930s that identified genetic diversity in species and genes as "the currency of evolutionary change"; he includes chapters on studies of fruit fly mating, aging and the genetics of behavior, and ends with the complete sequencing of the fruit fly genome. Brookes appears to have picked a rather narrow topic to write about, which may limit his readership. But his book's enigmatic title alone should warrant a second look, and book buyers just might get hooked. Brookes writes with humor and economy. 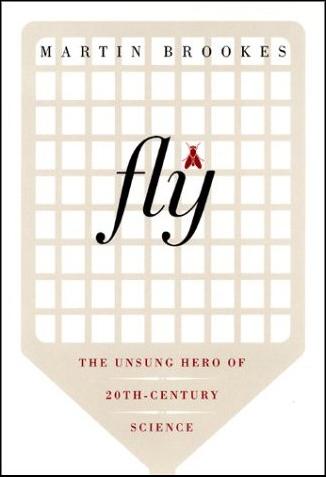 He places the unsung fruit fly into the much broader and immediate history of the rapidly advancing fields of biology and genetics.